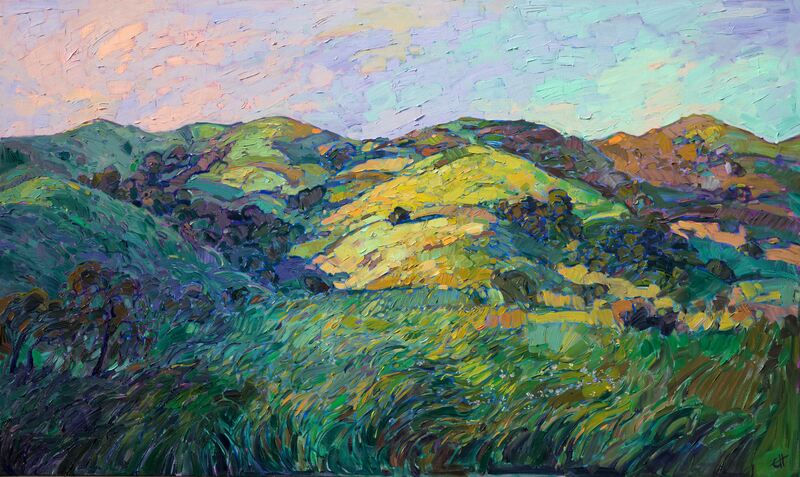 ERIN HANSON, GLENDALE, CA — Erin Hanson has been selected to exhibit at the 62nd Annual Sausalito Art Festival Labor Day Weekend, August 30-September 1. The juried art show is one of the oldest, most prestigious art festivals in the country attracting over 30,000 art enthusiasts who flock to the waterfront village of Sausalito. Erin Hanson is a life-long painter, beginning her study of oil painting at 10 years old. As a teenager, she worked in a mural studio creating paintings for restaurants and casinos around the world. Erin Hanson has created a unique style of her own, bringing elements of classic impressionism together with modern expressionism, and a dash of “plein-air style.” Her oil paintings stand out in crowd, bringing a fresh new look to contemporary Western landscapes. 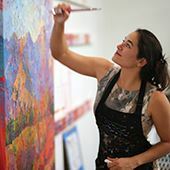 With few strokes and lots of oil paint, Erin Hanson uses brushes to carve a textural mosaic of color into the canvas. Her painting seem to leap from the surface, the changing textures drawing your eye through the painting. Hanson will join over 260 other artists from around the world for the three day show that continues to set the standard for quality, variety, innovation and sheer scope of work. 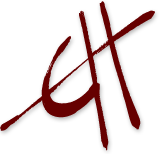 In addition to art, the festival offers continuous live music on two stages showcasing popular performers, gourmet food, California wine tasting, and a children’s art and entertainment area. Last year, festival goers stopped in amazement to gape at Hanson's 18-foot oil painting of the grand canyon. This painting, titled "North Rim" stretched across six panels (a "hexaptych") and was truly a grand tribute to its namesake. The festival, which is staged along the scenic Sausalito waterfront, is produced by the non-profit Sausalito Art Festival Foundation. Proceeds support the local arts community in the form of student scholarships, grants to other non-profit art organizations and community service programs including an Artist’s Teaching Art program in local schools. For more information on Erin Hanson please visit www.erinhanson.com. For more information about the festival, its artists and performers, or to purchase tickets, visit the Sausalito Art Festival website at: www.sausalitoartfestival.org – and follow the festival on Facebook and Twitter!